This is the latest installment of Work Hard, Ski Hard, featuring interviews with skiers who work all summer to ski all winter. Read the previous interviews here. 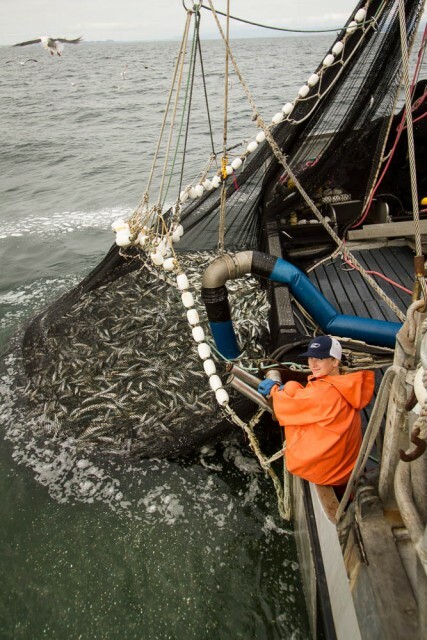 Aboard the Atlantis, a 58-foot seiner, in search of salmon off the coast of Southeastern Alaska, McKenna Peterson is is in the middle of yet another summer working on a fishing boat to pay for her winter. At sea with her two younger siblings, Axel and Dylan, longtime boyfriend Dylan Crossman, and father Chris, the captain and owner of the ship, Peterson was destined from a young age to follow her father's footsteps into the profession, and make the seasonal lifestyle a family affair. 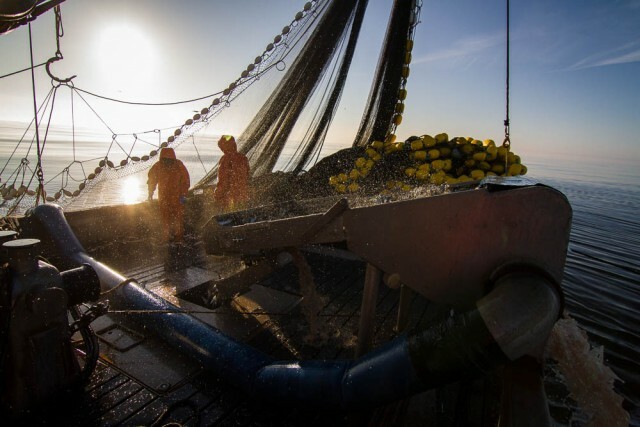 The family's season, which lasts from the middle of June through the first week of September, typically begins with fishing sardines off the coast of Washington for a month. However, the sardine fishery was closed this year to replenish the population of fish, steering the Petersons toward Alaskan salmon. Twenty-hour days are the norm and working multiple shifts without sleep is common, but the grueling work allows Peterson and the rest of her family the freedom to chase their dreams as skiers come winter. A Sun Valley, Idaho, native, Peterson used her fishing money to travel to Greenland in 2014 with the Shifting Ice, Changing Tides expedition, an all girls sailing and ski mountaineering trip. 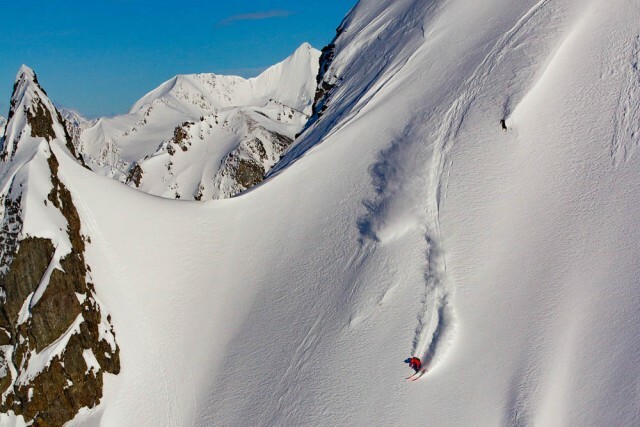 Last winter, she skied deep powder in Japan while filming with Stellar Media and also made her first trip to Alaska for the purpose of skiing—not fishing—to film in Valdez with Warren Miller Entertainment for their upcoming release Chasing Shadows. The desire for more adventures like these drives Peterson through the summer months. Come winter, Peterson, who now lives in Utah for the majority of the year, will be back on the lifts at Alta. But for now, she's putting her head down, working hard to save up for trips to far-off destinations, one load of salmon at a time. How long have you been fishing and living this seasonal lifestyle? This is my ninth season as a full-time crew-member. Fishing full-time gives me enough to pay for my ski season and college. This is a family affair, correct? Yep, it's my dad's boat. He has had this boat for 17 years. It's a family thing, always has been. My dad is a big skier, and when he was 18 he decided that he needed to find a job that made it so that he could only ski in the winter and not do anything else. He started working as a crewman on a fishing boat, and then he bought his own boat, I think when he was 23 or 24. That's all he's been doing since—working in the summer and skiing and running around chasing powder in the winter. So what kind of fishing do you actually do? We seine. A seine is one really big net. One end of it is attached to our big boat and one end is attached to a skiff that we have, and the skiff takes one end out and we make a C-shape. And that C-shape catches salmon. Every time we set our net in the water, we can catch anywhere from 100 fish—which would be terrible—and 20,000 pounds, which would be awesome. They're averaging 4 pounds per fish so that would be about 5,000 fish. Our boat can hold 100,000 pounds, so if we filled the boat in one day it would be super cool. Does the hard labor of fishing help prepare you for ski season? Yeah, definitely. Both physically and mentally—almost more so mentally. We work through being physically drained, running multiple days on no sleep, and constantly being on your feet. To the point where you feel like you can't do any more but you have to, so you just do it. That's the best training for something like going on a big expedition or a big day in the backcountry. It toughens you up. What was it like to ski in Alaska—rather than fish—for your first time last spring? So cool. Like right now I'm looking at huge mountains, glaciers, and snow-covered peaks all around me, and they're beautiful. My brother and sister and I spend so much time looking through binos [binoculars] at lines that are probably not skiable, but we look at them anyway. When did that dream begin? Since my dad fished every summer growing up, we would come visit him. So I've been coming up here for at least a week or so since I was a baby. I started backcountry skiing when I was 16. I kind of started figuring out that my skiing could take me into these big mountains and these really cool, remote places. So that's when I started obsessing over it. Are you going to ski up there again this coming winter? Yes, I sure hope so. Hopefully the (fishing) season turns around and we do okay. I am definitely going to set some money aside right away into a "ski-in-Alaska fund." I need to make that happen again. I'll figure out a way.